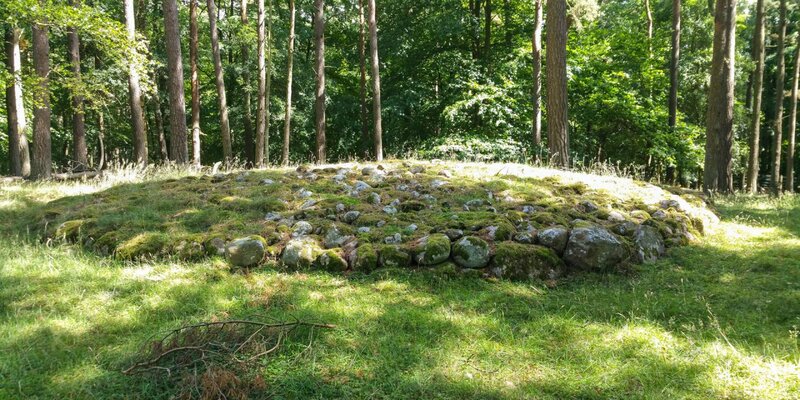 The over 3,000-year-old stone grave mound Höga Rör is located in a forest area near the settlement Mörby, about 7 kilometers southeast of Sölvesborg. In an exposed position, the tomb dating from the early Bronze Age is located on the top of the hill Mörby Backe, with a good view over parts of the Listerland peninsula. 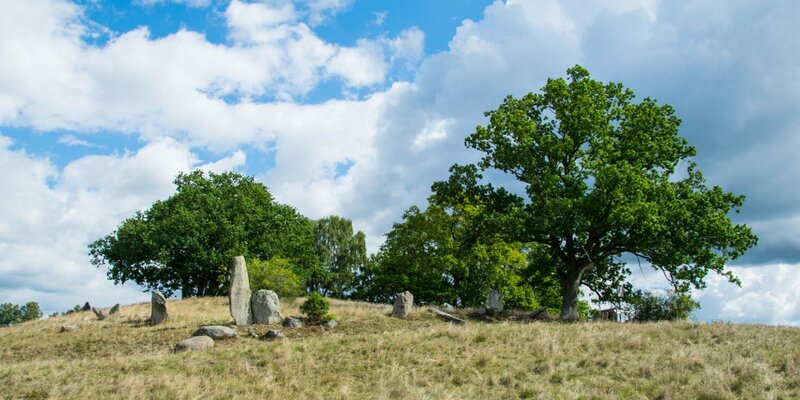 Höga Rör is the only stone grave mound on Listerland dating from this era – all the other graves on the peninsula were designed as mounds of earth. 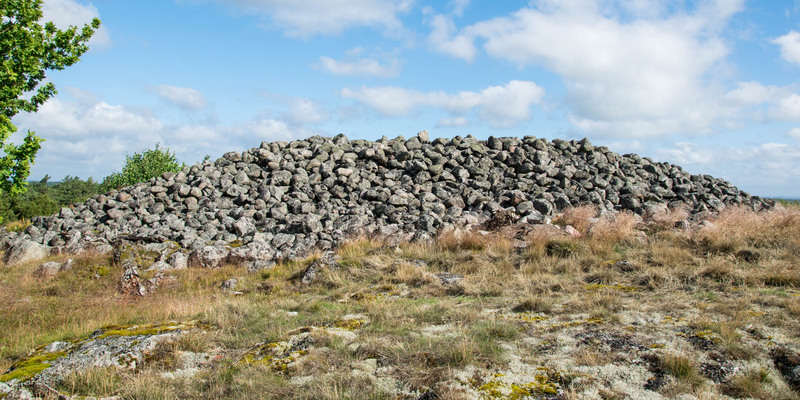 This circumstance, combined with the particular location and effort required to bring this mass of stones on the 50-meter-high hill, leads to speculation about the importance of the interred person. There are also some legends about a treasure hidden in the hill and guarded by a fire-breathing dragon. 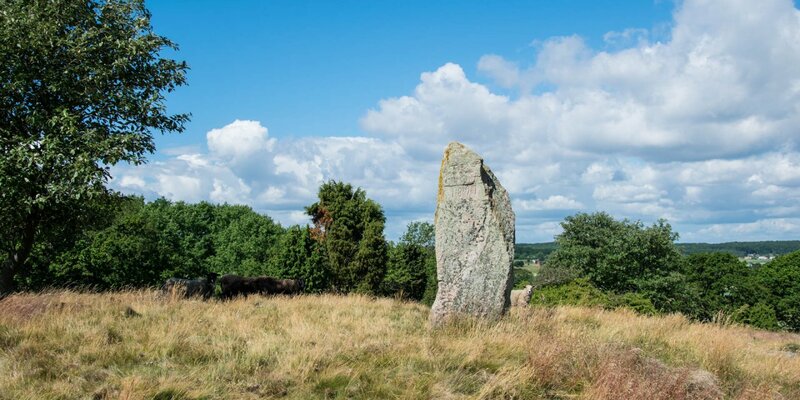 Or the story of a giantess, who collected stones there to throw them at the church in the 40 kilometers away village Åhus. Höga Rör is located at the northern end of a forest, which is part of the 91 hectare nature reserve Hjärthalla. The fastest way to reach the grave mound is by using the small parking lot in Mörby. From there you go in the direction of the signpost "Gravröse" into the forest and follow the small path with the red markings. The distance to the grave is about 500 meters.